Katessa Charles Davis, a shareholder in the Los Angeles office of Ogletree, Deakins, Nash, Smoak & Stewart, P. C., is a legal strategist, problem solver, and committed advocate. Ms. Davis has more than 25 years of experience as a civil litigator, with an emphasis on the representation of employers. Ms. Davis is responsible for all aspects of employment litigation matters on behalf of employers, including trials and arbitrations. Ms. Davis has tried to verdict in state and federal court employment matters involving gender, race, and disability discrimination and harassment, as well as retaliation and wrongful termination. 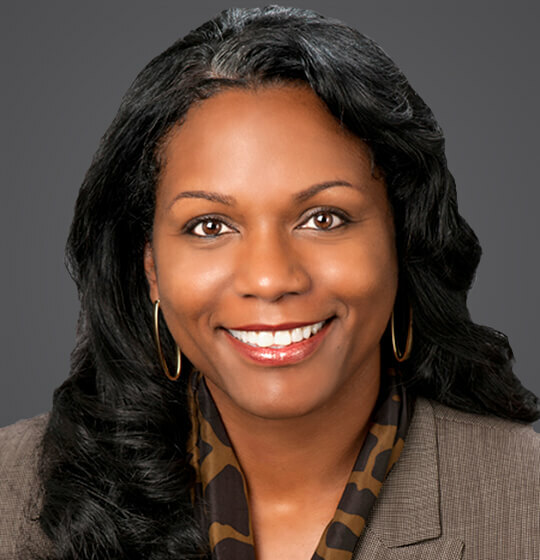 In 2018, Ms. Davis was recognized as one of the top female attorneys in California by the Los Angeles Daily Journal, which honors the achievements of female attorneys. She works exclusively with clients to develop strategies for mitigating and resolving legal actions, approaching each case with a commitment to client service. Ms. Davis’ clients include institutions and businesses in the healthcare, retail, and food and beverage industries. Ms. Davis is a past President of the Los Angeles County Bar Foundation, a past Trustee of the Los Angeles County Bar Association, and a past President of the Black Women Lawyers Association of Los Angeles, Inc. Ms. Davis is a member of the Labor and Employment Law Sections of the State Bar of California and the Los Angeles County Bar Association. She is also a past member of the Executive Committee of the Litigation Section of the State Bar of California. Further, she serves on the firm’s Professional Development and Inclusion Steering Committee. Ms. Davis resolves commercial and employment disputes, including unfair competition, trade secret, contract, privacy, discrimination, harassment, and retaliation claims. She defends corporate clients against claims brought under Title VII of the Civil Rights Act, Family Medical Leave Act, California Fair Employment and Housing Act, California Wage Orders, as well as other related federal and state statutes and regulations. She has experience in a broad range of industries from manufacturing to entertainment, and has arbitration as well as jury trial experience in state and federal courts. Ms. Davis counsels employers in all areas of employment law, including state and federal wage and hour, employee compensation, privacy, employee leaves of absence and performance, employment and service agreements, outside salespersons, independent contractors, unfair competition, and trade secret issues. Ms. Davis represents employers in administrative proceedings, including responding to charges filed with the Department of Fair Employment and Housing, Equal Employment Opportunity Commission, California Labor Commissioner, and U.S. Department of Labor. Ms. Davis assists employers with reducing their workforce, developing personnel handbooks, and training supervisory employees on the prevention of sexual harassment. Ms. Davis also speaks on a multitude of employment and management related topics, including hiring and firing; leaves of absence; disability accommodation; personnel policies; discrimination laws; trade secrets; unfair business practices; and privacy in the workplace. Ms. Davis serves on the firm’s Professional Development Committee, and is passionate about mentoring legal talent. February 2014 - Bloomberg BNA - "An Overview of New Laws Affecting California Employees"